The hilarious and delightfully entertaining Book Club is available to Download & Keep 24th September and on Blu-ray™ and DVD 8th October! To celebrate the release we are giving YOU the chance to win a copy on Blu-ray™! 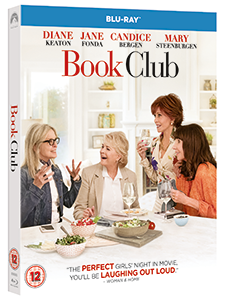 Book Club is available to Download & Keep 24th September and on Blu-ray™ and DVD 8th October. The competition closes at 23.59 (GMT) on Sunday 23rd September 2018.